The North Fork South Arkansas River tumbles down Shavano Falls and makes a sharp turn through a narrow rocky canyon in the San Isabel National Forest in southern Colorado. 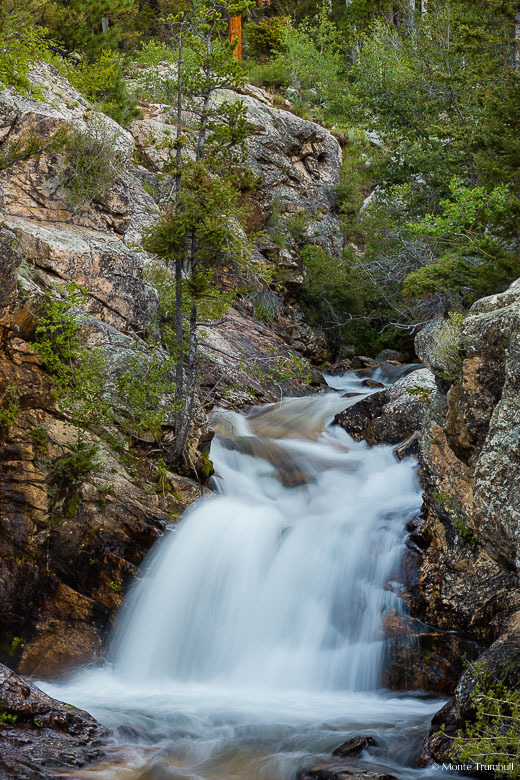 The North Fork South Arkansas River drops over the lower section of Shavano Falls before making a sharp turn through a narrow rocky canyon in the San Isabel National Forest in southern Colorado. 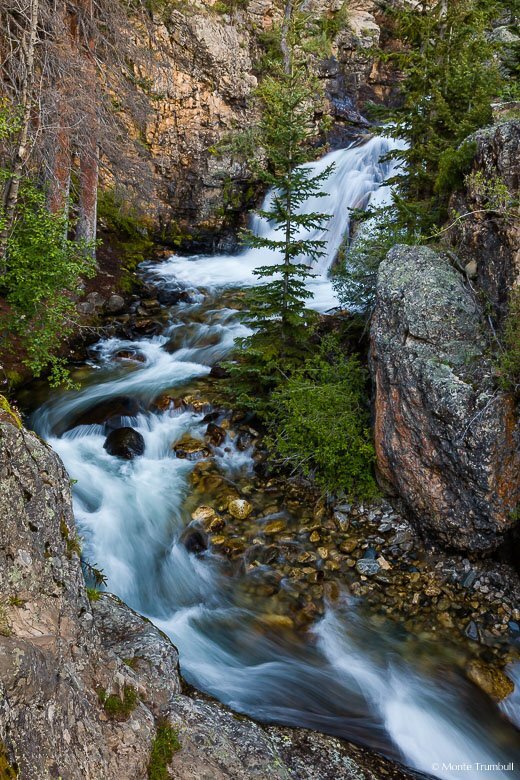 The North Fork South Arkansas River emerges from behind rocks and trees and cascades over the upper section of Shavano Falls in the San Isabel National Forest in southern Colorado. 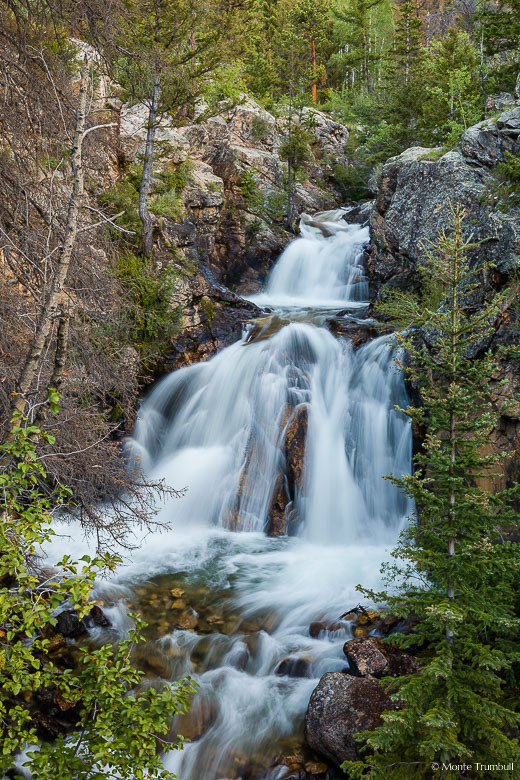 The North Fork South Arkansas River makes a couple of drops down Shavano Falls in a steep rocky section of the San Isabel National Forest in southern Colorado. 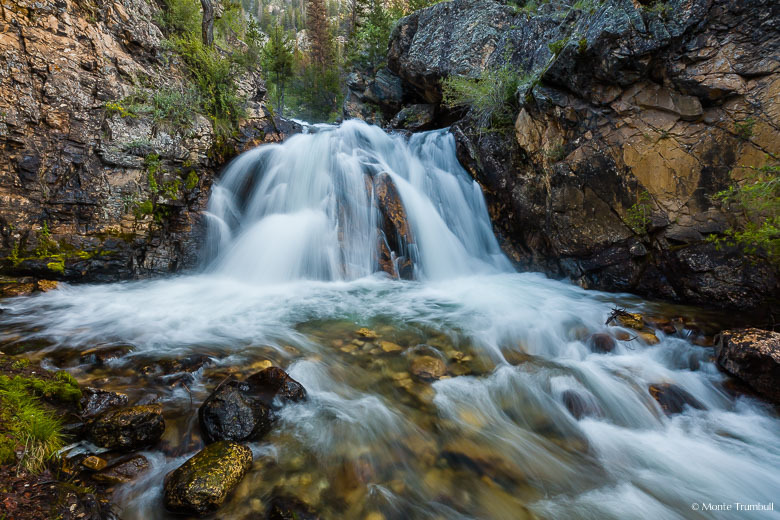 The North Fork South Arkansas River tumbles down Shavano Falls in the San Isabel National Forest in southern Colorado. Click on an image to view the full size images. This past summer, I made it a point to visit some waterfalls in Colorado that I hadn’t been to before. A couple of those were not too far away from home outside of Salida. I packed up the camper and spent an afternoon and the following morning visiting two waterfalls on the North Fork South Arkansas River. Shavano Falls was just up the road from the campground. I stopped by to check it out the afternoon before, but parts of it were in full sun, so I set my alarm for sunrise and got there as the skies were starting to lighten up. It is nearly impossible to get an uncluttered picture of the entire falls. A couple of vantage points let you catch sections of it, so I resorted to capturing this set of images. I was there in August and the river had quite a flow. I assume it runs rather constant since there is reservoir five miles up the road. As you can see from the pictures, it is rushing right along at Shavano Falls. Click here to see these images in the Waterscapes Gallery. Fine art prints are available.